A Brief Break Today….5 Day Mtn Snow Event Coming…. Looks like things will only get a day to settle down, and that is today, and it remains chilly in the High Country even though it will be pretty nice around here in the Foothills…. A lot of waters are still high and roily following the past day and a half of moderate to heavy rain and ice /sleet/snow mix. Here’s a report of ice accretion, that is ice on top of about an inch or two of snow/sleet mix…. click here . 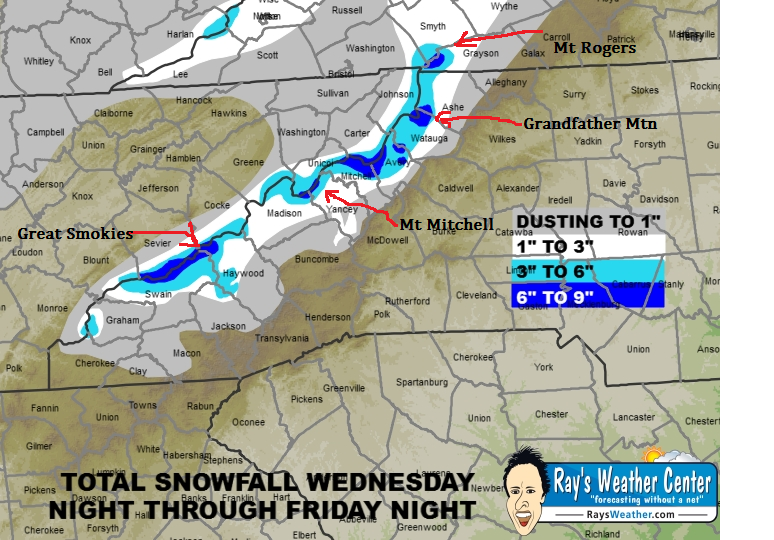 Here’s the upcoming weather scoop from our friends at Ray’s Weather at Appstate in Boone, NC…. A slug of cold air will move into the mountains tonight behind two northward moving areas of low pressure, one in the lower Great Lakes, and the other along the New England coastline. This cold configuration will become our new normal for several days. It is one in which the jet stream is taking a major dive through the eastern half of the U.S. bringing a prolonged period of cold and snowy conditions. The Northwest Flow snow machine starts cranking tonight and it marks the beginning of a 4 to 5 day period of intermittent snow showers. Each day basically playing out the same with mostly cloudy skies, on/off snow showers, and windy conditions. Despite the forecast looking the same, we have two primary upper level waves, and we’ll deal with them one at a time with our first wave lasting through Friday night, Snowfall Totals Map. Our “Usual Suspects” being the highest elevations and westward facing slopes will likely score a foot or more of snow when it is all said and done by Sunday night. Snowfall amounts for the rest of us will be much more spotty from west to east but enough to keep the landscape white. Mt. Leconte, a mountain in Sevier County, Tennessee located in the Great Smoky Mountains National Park. At 6,593 ft (2,010 m) it is the third highest peak in the national park, behind Clingmans Dome (6,643 ft, 2,024 m) and Mount Guyot (6,621 ft, 2,018 m). However, from its immediate base to its summit, Mount Le Conte is one of the highest peaks in the Appalachian Mountains rising 5,301 ft (1,616 m) from its base, near Gatlinburg, Tennessee (1,292 ft/394 m). Mount Mitchell is the highest peak of the Appalachian Mountains and the highest peak in the eastern United States. It was the highest point in any state of the United States until Texas joined the union in 1845. The nearest higher point is Lone Butte in Colorado, 1189 miles (1913 km) west. Mount Mitchell is located near Burnsville in Yancey County, North Carolina, in the Black Mountain subrange of the Appalachians, and about 32 miles (51 km) northeast of Asheville. It is protected by Mount Mitchell State Park and surrounded by the Pisgah National Forest. The mountain was named after Elisha Mitchell, a professor at the University of North Carolina, who determined its height in 1835, and fell to his death at nearby Mitchell Falls in 1857, having returned to verify his earlier measurements. Grandfather Mountain , at 5,946 feet (1,812 m), is the highest peak on the eastern escarpment of the Blue Ridge Mountains, one of the major chains of the Appalachian Mountains. The Blue Ridge Parkway passes by the south side of the mountain and also passes over the nearby Grandmother Gap. 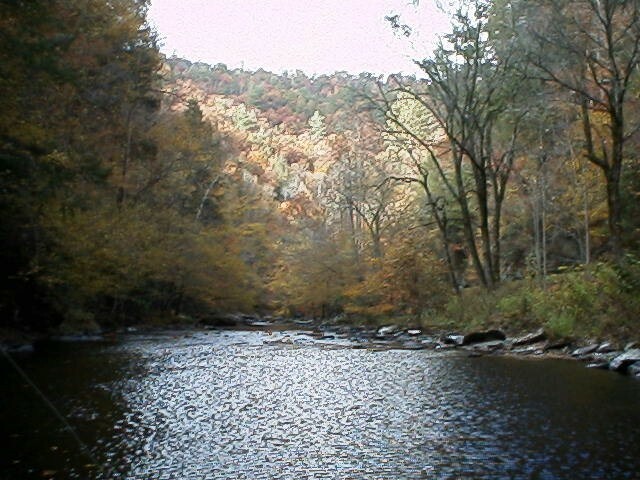 It is located at the meeting point of Avery, Caldwell (highest point), and Watauga (highest point) Counties. Mount Rogers is the highest natural point in the state of Virginia, USA, with a summit elevation of 5,729 feet (1,746 m) above mean sea level. It lies in Grayson County and Smyth County, Virginia, about 6.45 miles (10.38 km) WSW of Troutdale, Virginia, within the Mount Rogers National Recreation Area and Jefferson National Forest. The mountain is named for William Barton Rogers, a Virginian educated at the College of William & Mary, who taught at William & Mary and the University of Virginia, became Virginia’s first State Geologist, and went on to found the Massachusetts Institute of Technology. My apologies for the lengthy geography lesson, but hey it was my major at UNCG………. just making Dr. Mike Lewis, one of my favorite professors, proud….lol. I can only imagine him beaming and glowing as he reads this ……while looking over topo sheets and maps over breakfast…..lol. 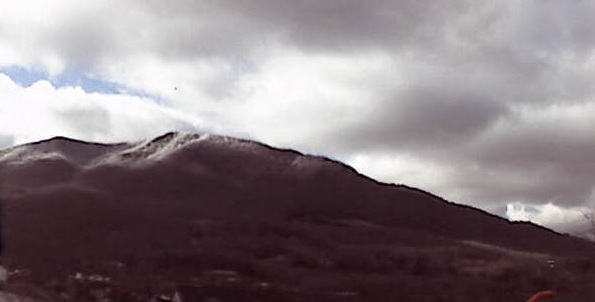 Here’s a shot from Mt Jefferson this morning, which is in Ashe County, NC, or , since you’ve had your morning history lesson….about halfway between Grandfather Mtn and Mt Rogers…”as the crow flies”….as the mtn folk say. TN Tailwaters….. Pretty much toast unless you are floating, and that is a bit different from normal as they are not only at full generation but also sluicing additionally…which is releasing additional water through the sluiceway ( that sinister looking dark, dungeon-like door that allows the TVA to release water as needed whether the generators are on or not.) Weather looks like NW flow snow the next 5 days, nighttime lows in the teens to low 20s, his around freezing. VA Tailwaters….Jackson River , Covington , VA…- Releasing 150cfs and no changes today. Great level to wade or float the Jax. Lake level is 1580.1 (full pool is 1582.0′) and water release temp is 40F…. midges, midges, midges, maybe an afternoon blue wing olive or two, its time for them. Smith River, Bassett, VA….Schedule is same all week this week, generating from 6am til 10am. 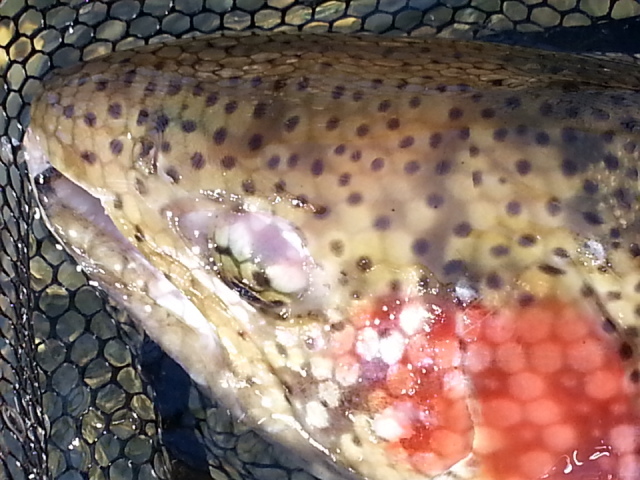 Release water temp 41.5F…Midges…..plus some small Blue Winged Olives, and a stray winter black stone or two. One of the few viable fishing options locally… Weather looks like on and off snow showers depending upon elevation….temps lows night in the teens to low 20s, highs around freezing. Small Streams/DH Waters.…A lot of high water lately, and few locations have escaped it. Flows are up, the ground is still saturated from previous weather events and there’s a lot of water stored up in the water table that is helping things a bit. That is why things have been so unsettled. Not to mention that any water coming from frozen ground is likely just above the freezing mark. Yes, just above the freezing mark. The higher in elevation you go the faster things clear out/up, but also the colder it will be. 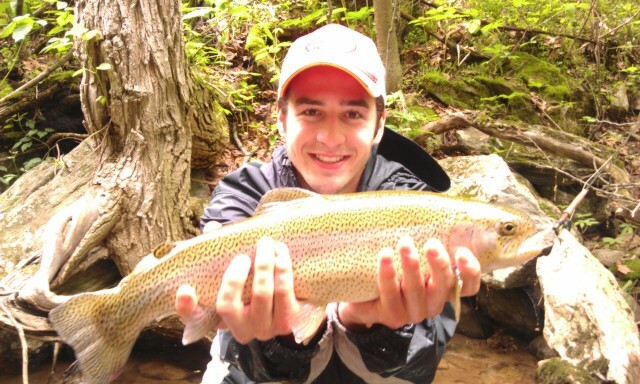 Best fishing in higher elevations usually midday to late afternoon. At 4 or 430pm….pack it in you are done for the day. My experience is stocked fish are a bit easier to negotiate when conditions are really cold like that. Just expect them to give you all the gusto and fight that a heavy, wool sock would…lol. All fishing right now is nymphing and streamers….dead drifting everything, this is a great time for big bobbers, weight, and two fly rigs. A large point fly like a wooly bugger, large nymph, with a small egg or midge pattern or small and dark mayfly nymph pattern. Streamflows are as follows (“Normal” flow in parentheses)…. Locally:….. Bass , bream, and crappie are waking up and they are stirring …indeed. After the past day , the ice/sleet, cold rain….today might warm things up enough to get them going again. Some fish are already shallow, particularly crappie. The coming week and a half might be a good time for them….and I intend to find out at our ponds here. 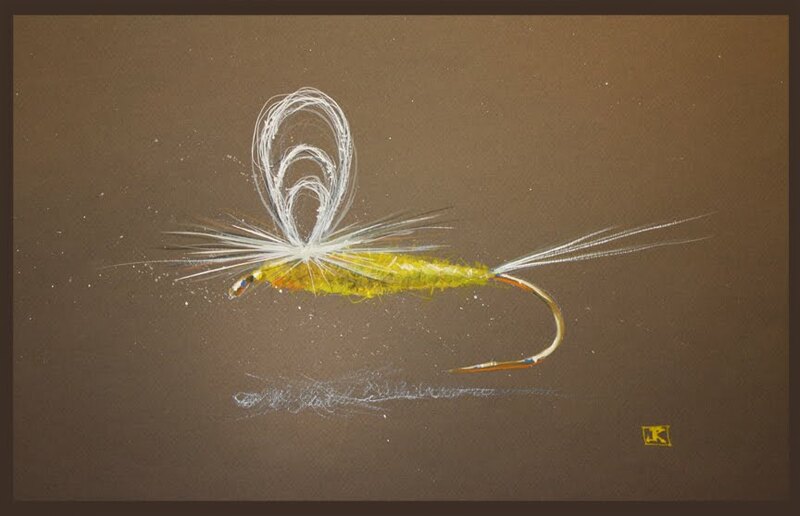 Streamers slow stripped are the ticket, hard to go wrong with a small Chartreuse and White clouser minnow, size 2 or 4. Large bluegills will hit them too. For these small bead head wooly buggers work well. One of our favorite things this time of year is to fish a streamer under a thingmabobber. If its breezy or windy this is a killer tactic….the broken surface bobs and jigs the fly for you and if crappie are around you’ll soon find out. A few videos for Hump day this week……one is a great one on fly fishing the Blue River in CO at night….a hoot. 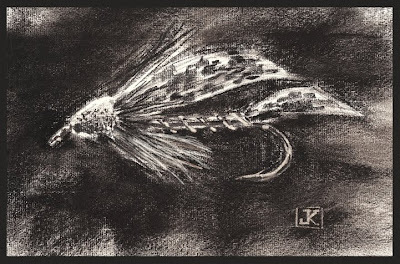 The second one is a great piece on fly casting in the wind…. We have some busy days coming up, but the next few days look sketchy. We’ll see how the weather situation unfolds….looks like spring will wait a few days…..
Wed. Feb. 20, 2013 ………. Just got word from Julie DonTigny of SIMMS who is one of the web /IT folks that they chose one of our photos to be the ‘Catch of the Day’ on the SIMMS Website and blog. The photo is from a recent trip to Escatawba and Dunlap Creek, where I guide many days/trips per year. To see the post and photo on the SIMMS site click the link below…. A big high five or salute to my client Greg Adzima, who landed the fish and did a masterful job, considering the fish was almost 12lbs and we had it on 5X tippet (4-5lb tippet). Great job Greg! Snow, Today Some Wind, More Winter Weather on Tap…..And Coming..
Wed. Feb. 20, 2013….. Just busy working on some of our trips this week, the weather has been nasty in the High Country, like ‘hard to fish’ nasty. Small jumps in flow on many waters are due to temps approaching 30-35F and as I have commented on on other occasions when you get that the ground thaws and the extent of the thaw releases water from otherwise frozen ground. Simply put, we have enough water stored up from 200% of normal rain and snow totals. Some areas of the NC high country and SW VA and E. Tennessee got pounded last month with well over 10 inches of precip. That’s a major reason the TVA is blowing full bore on most of the Eastern tailwaters, ,most notably our home waters of the South Holston and Watauga. East TN is running at about 220% of normal…..so you can see why the need to get rid of water is there. We have some rain coming for late Thursday through midday on Saturday and that looks like potentially a big system that will likely begin as a significant ice storm event in the mtns before milder air moves in late day Friday and changes it all over to rain. That warm air will thaw the ground some more which means another little spike in flow. I have been preparing for a boatload of trips this week, getting set for May’s sulphur madness on the SoHo, bookings are up 20% over last year as word has gotten out how fabulous fishing there can be at that time. Our 2013 Annual group trip is full, and right now I have about 3 and almost 4 groups of 5 to 6 anglers each so its going to be a busy month. Our Escatawba trip bookings continue to be strong, our March 20 trip is now full, the next scheduled group outing is in early June, and that is time we catch some pigs on dry flies….aahhh what a bang that is. 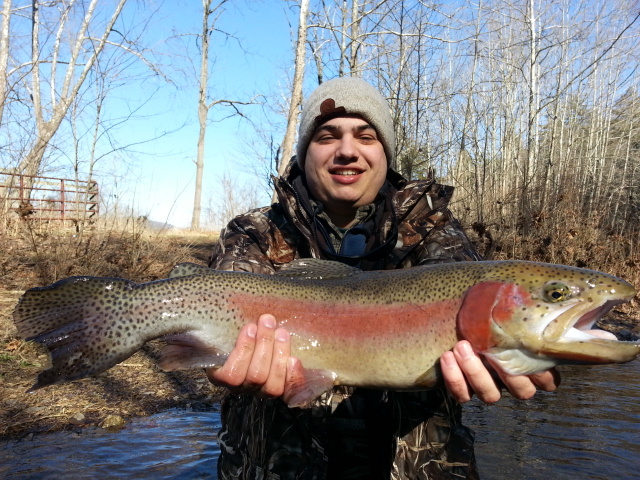 My oldest son Ben (below) with a nice rainbow…..nice work son! He is simply a heron with a fly rod…. Also finalizing our Wyoming 2013 plans, our August 10-17,2013 trip is within one slot of being full. I have five fantastic guys on the trip so far, some of which this will be their 3rd trip here….that should speak for itself. Anyway, its crazy backcountry fishing where few anglers get to tread because we are horsepacking back in about 12 miles….hard for even a die hard to walk that far. We’ll see some great country, catch some beautiful wild Cutthroats and brookies, and eat some incredible dutch oven meals by an open fire…. Man is it ever good. We’ll end the week with 2.5 days of fishing some other area waters, one of which is a new one I have kept under the radar for a couple years now. A small stream with huge cutts. And few other fishermen. We have one slot left should you decide you’d like to join us! 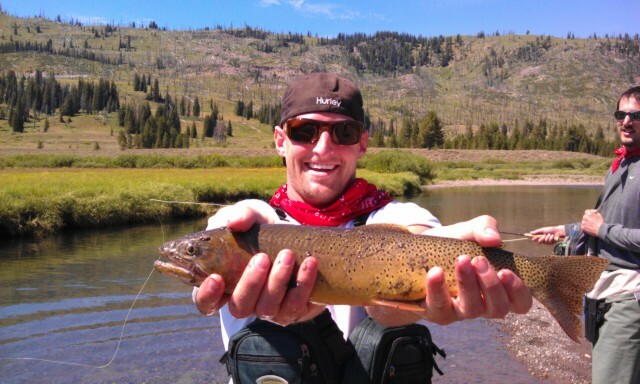 Nick Peters (below) with a North Fork cutthroat, it was Nick’s first trip fishing the West…. 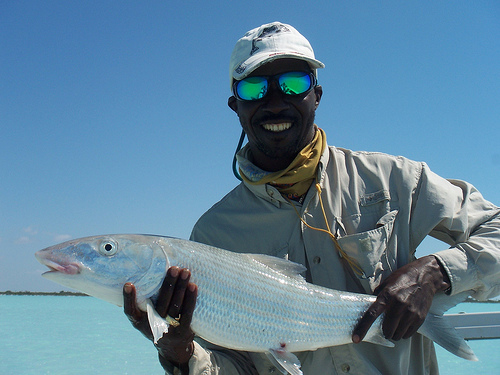 Also , we’ll be heading to North Andros, Bahamas the first week of May to do some bonefishing. A group of five anglers and we’ll be chasing some bonefish on the flats. A sight fishing game of the best kind….. we’ll be departing from Charlotte, NC to Nassau and then by private plane to North Andros. Should be a great trip….will be here soon…. As far as fishing locally, things thaw out a little today (Wednesday 2/20) but some cold temps coming for tonight. Looks like Raysweather, our favorite weather source is calling for an icing event on late Thursday into late Friday, could be a significant one at lower elevations until it turns to all rain late Friday into Saturday. A lot of local waters have remained high, the only ones that are back to normal levels are places like Caldwell, Wilkes , Surry Counties but they are just becoming so. Weather systems keep coming. This past Saturday when I was guiding Dr. David Spivey we ended the day with the last 2 to 3 hours being downright brutal…and it takes a lot to make me say that……as many who have fished with me in Winter will attest. 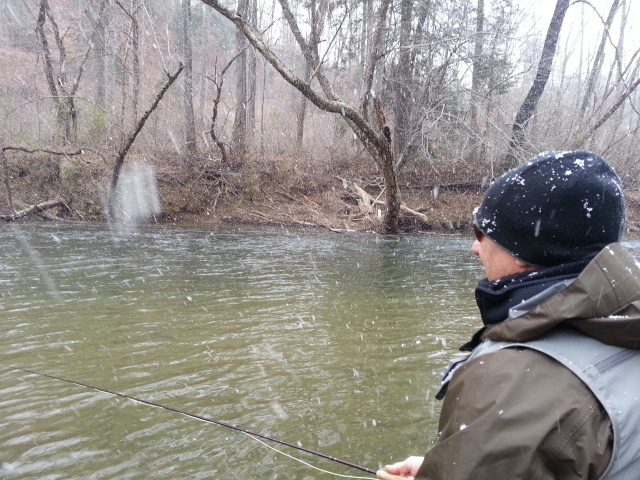 It was mid to upper 20s, high winds, and hard driving snow…..whiteout conditions at times….here’s a video clip in case you have not seen it…..
We have been posting a ton of stuff on our Fishing Reports page on our website, including some mini lessons on Reading Water that customers are giving a ton of positive feedback on. I am presently working on a course on Reading Water and will be offering it as a class….stay tuned! Good Fishing…..Springs a coming in 28 days…! Sat. Feb. 16, 2013….Yes a slow day, but its nice fishing in the snow. Slowest day of fishing in 2013 so far, we had two weather systems working against each other bringing more unsettled winter weather to the Mtns. Today was cold everywhere, but in the mtns I would ramp that up and call it bitter. David and I hit three waters in 6.5 hrs and had very slow fishing. Fished the first half of the day near Old Fort and the other near Burnsville. We managed only 3 fish and probably 8 other strikes. 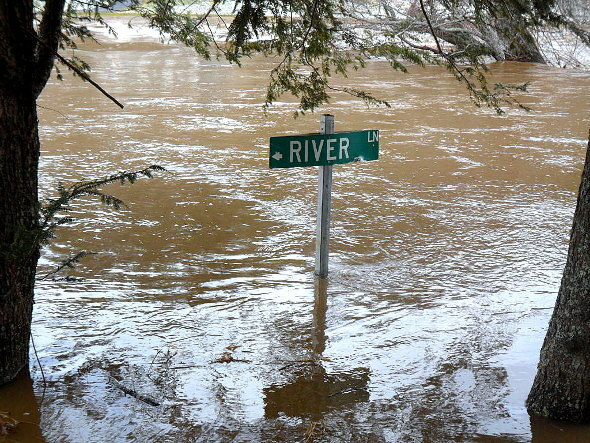 Many places have been significantly altered by the floods of two weeks ago. We finally called it a day when the temps hit 22F , the wind ramped up to 35mph with gusts to 40mph plus. A raw afternoon and having come down with a flu like bug we decided to cut it short and quit about 4pm. Great to get back to the car and some heat..! Easily the most difficult day fishing and guiding in my recent memory. Today was just a wash and with the majority of waters hovering around freezing with all the snow melt today would’ve probably been best spent inside….! Will be having a day or two off then a lesson on Monday. Have a great one…! Nice Cam Day Before The Storm….. Sat. Feb. 16, 2013……Had a good day yesterday guding Tom Wolff, put maybe 30 fish in the net in about 6 hours of fishing. Caught a couple nice rainbows and one nice brook trout about 16" and a brown about 17". We caught a good mix, all nymphing. 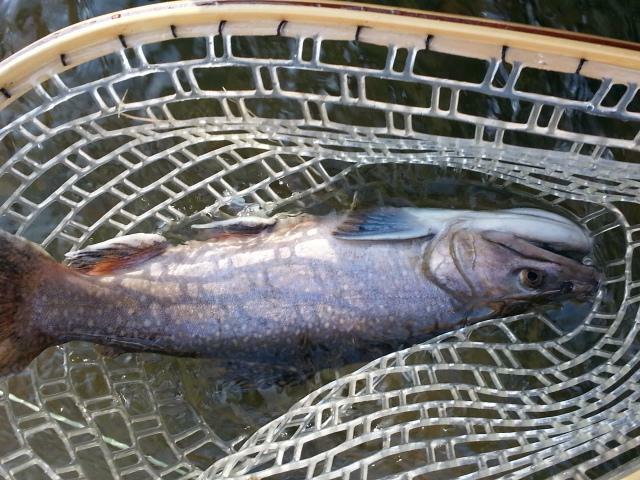 …didnt see a rising fish all day long even though there were black stoneflies on the water and in the air all day. Bad weather moved in and as we pulled away you coukd sense a big weather change coming. Winter storm warning for the mountains, headed there tiday with Dr David Spivey. Hoping for a good day looks like cold, snow today we will see how it goes. Have a great weekend. …. Fri. Feb. 15, 2013……Nice morning, skies are beautiful and I am headed out to guide Dr Tom Wolff and we are fishing the NC mountains. Looking forward to a good day, I am sure we will be nymphing but maybe by afternoon we will get a few fish on top. Looks like some snow for the afternoon and eveming hours….and some rrslly cold temps for tonight and tomorrow. Will have a current report once we get into the water. Have a great Friday and more to come…! Tues. Feb. 12, 2013…At least that is what it has been, but it won’t stay that way. The weather and temps have been about as ‘all over the place’ as you can get. We had a good trip on Saturday, a first time outing for Dr. Todd Early and his son Hunter, we had a 35-40 fish day and Hunter landed one heck of a rainbow…the fish was a solid 26″ or more and weighed between 8 and 9 lbs by my estimation. Not bad for a first time out….it certainly raised the bar for future trips! We started off this week with some time away, my wife’s grandmother passed away over the weekend and we are in SC spending time with the family and attending a funeral. Our thoughts and prayers go out to everyone. We will be resuming our normal schedule on Feb 15, 2013 which is Friday. Had a two day guided trip scheduled with Mike Workman…Mike and I have literally tried time and again numerous times to get out and either a weather issue or one of us had a schedule conflict of some type for the past year. Thanks Mike for your patience! Hopefully we’ll get out soon and get it done! We get a welcomed dose of sunshine today before clouds ramp up this evening and a wintry mix begins to fall late tonight. Most of us will see a cold rain overnight, but there will be mixing going on especially in the higher elevations. It will change to rain and then over to all snow as even colder air pushes through Wednesday afternoon. Valentine’s Day will be a close second place to this afternoon with sunny skies and seasonal temperatures. Some love to our skiers this weekend as the bottom falls out of the cold and snow showers return. Nothing unusual about today with abundant sunshine early before increasing clouds late today. Temperatures will be slightly on the mild side today. Typical for this winter we have a mild day or two before things turn cold and wet. Light rain to a wintry mix develops close to midnight as the next Gulf Coast low moves from Texas to Louisiana today. The higher elevations will have the best shot at seeing the mix lean more towards snow before a changeover to rain Wednesday morning. Temperatures will be around the freezing mark so a brief spell of freezing rain is also possible but we are not expecting long-lived icing. A gloomy and damp Wednesday morning is likely before colder air arrives Wednesday afternoon changing the rain over to snow. Westward facing slopes and higher elevations could pick up a quick couple of inches by Wednesday night with many of us seeing at least a dusting.It will be a gorgeous sunset on Lover’s Lane Thursday night with just a few clouds around on Valentine’s Day. But colder air is on the way out of western Canada. It will arrive Saturday on blustery NW winds. As it arrives, some snow is likely late Friday night and Saturday. A few snow showers may hold on early Sunday, but the rest of the day will be dry and very cold. There’s a lot out there in the way of material on the internet related to fly fishing, tying, etc., but often its not of a local nature and as such it might be applicable to our fishing here but not easily so. There’s a great new publication out now, and some of you may have seen it, sampled it, or check it out at The Fly Fishing Show recently. Its called Southern Trout, and is written by friend and author Don Kirk. As many of you may already know, Don is a well known and established author who has written some excellent stuff on fly fishing and particularly of and about the Great Smokies. If you are like me, your copy of the Smoky Mountains Trout Fishing Guide is falling apart from use…. It was truly one of the first books that had all the information needed to check out a stream in the area being written about. Truly innovative, and the first of its kind. Don has a follow up book to that , The Ultimate Fly Fishing Guide to the Smoky Mountains….one that truly deserves a space in your angling library. Its fantastic, one of the best reference books in print. The Day of Only One from 5280 Trout Hunters on Vimeo. Fly Fishing in the marshes surrounding Charleston, SC for Redfish from Capt.Chris Wilson on Vimeo. Things have been all over the place with our weather. Many places thawed out over the past few days with the warmer temps. A lot of streams show a ‘spike’ or uptick in the flow even on dry days. Customers often ask ‘what is going on with that?” or “Why is the water rising?” Well, there are two explanations, both of which have been happening a lot lately. One, if you are fishing lower elevation water its always the last to rise, the last to fall, the last to clear. We have been inundated with rain, snow, ice, etc., to the tune of 10 inches or more over the past month. Many areas its more than that. It takes things a while to move downhill and move on out. Secondly, the ground has been in a ‘hard freeze’ state for a month. That is, its been so cold for about half of the nights the past month to freeze solid the first two feet of ground. As wet as its been, that soggy ground is holding lots of water. And when we get these warm days the ground thaws, releasing water into the water table and therefore into the stream. All of this is good for fishing. Eventually. When you get heavy rains like we have lately, it onlyexacerbates the problem. But again, all in all, its good for fishing because it means the water table is in good shape. February is ‘transition month’ as well and typically a time that we see the first mayflies of the year and usually they are blue winged olives. BWOs are always the first early season mayfly hatch. Standard bwo dry flies on top, parachute bwos or Adams on top, and a classic pheasant tail, beadhead pheasant tail, or flashback pheasant tail…all are great flies this time of year. And that’s why my box is so full of them and variants of them. They work. Everywhere. Stock up on them…… you won’t regret it. Small waters have offered limited opportunities the past month because of weather and cold, bitter cold, but DH waters have fished well. Many of our low elevation DH waters flow over a predominately sand /sandy substrate (front slope waters are a prime example) and as a result they drain quickly and clear up fast. On some waters you’ll continue to see snow flies or ‘willow flies’, which are those little winter black stoneflies . As I have shared with customers and guide trip clients if you are fishing late morning to mid afternoon and you see a slashing, splashy rise its almost surely the rise was to one of these stones. They flit and flutter and hit the water during egg laying and the fish take notice. This time of the year you can’t go wrong stocking your box with midges, small blue winged olives, and a few stonefly patterns (small blacks size 18 and 20, and large ones in brown and yellow to a size 6 or 8). Tailwaters have fished so so when you could get on them. That has been the rub lately. About the only times you could fish the past month is during times of bad weather….literally right in the middle of the heavy rains or heavy snow. This is the case because the TVA often won’t generate or release water during periods where there are flooding rains..because them doing so would make flooding worse down stream. So remember that tailwaters can be fishable and fish quite well right in the middle of the foul weather event. But when it passes through, look out. The generators are coming on and they will release for a while to get rid off all the water coming into the reservoir above the dam. That is precisely what they are doing at South Holston Dam on the SoHo and Wilbur Dam on the Watauga R in TN, as well as Norris Dam on the Clinch. 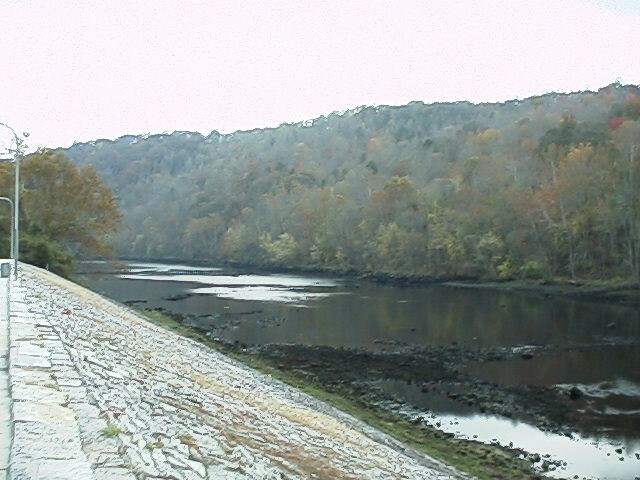 Those are the most often fished tailwaters in our area aside from the Smith R near Bassett, Va, and the Jackson River near Covington and Hot Springs, VA.
Local waters have picked up a little, bass are shallow in some local waters. If you have a local pond you fish or can fish February is a great time to catch your largest fish of the year. The reasons are simple. One, the females are getting ready to spawing in the coming months. The early egg growth that began in December is driving them to eat and nourish themselves and the developing eggs and to put on added weight/strength so they can withstand the rigors of the spawn, which takes a taxing toll on their bodies. Secondly, these warm days are a signal to the fish and any dark bottom near deep water or dark structure on a shoreline will hold fish, even more so if there’s a dark mud bottom nearby, particularly on sunny, breezy spring days. I always fish the NW corner of our pond, and fish the bank the wind is blowing into. Warm temps, wind, and windy banks are places the water mixes and warms at a faster clip. This draws food and baitfish and where you find food you will find bass. Just that simple. Sun. Feb. 10, 2013 ….A happy Lord’s day to you all, its awfully nice out today. The nip in the air is being replaced by a bit milder temperature today; but look out, it will change soon. We aren’t out of the ‘winter ‘ woods yet. Had a good day fishing yesterday, even though it was really cold. Got in late last evening, and trying to figure out and work through the kinks of a new smartphone/camera/posting app so didn’t get an on the water report out while we were actually in the water as I usually do. But interestingly, its going to be better when I figure things out as with my new Galaxy Note I can get a signal in some places I could not before….which means on the water up to the minute reports from places I previously couldn’t. Sweet! Here is how yesterday’s guide trip went….it was a great one. I guided Dr. Todd Early, Hunter Early, Greensboro, NC, Escatawba Farms, we had a cold start…..like in the 20sF and a stiff NW breeze from a cold front that moved through on Friday. It was chilly with the wind and snow lying around…just seems everytime we get a mild spell winter rears its head again. But hey, we have at least a solid month maybe more of cold weather. And March can be when we get our largest snows….. We got a start on the lower end of the stream and we caught a few to start, 16 to 18 inch rainbows. It took probably an hour or so for things to really start to crank up . We switched back and forth from a couple of different nymph rigs and found a couple that worked well. We used a casual dress with rubberlegs and a zebra midge dropper and it was deadly. 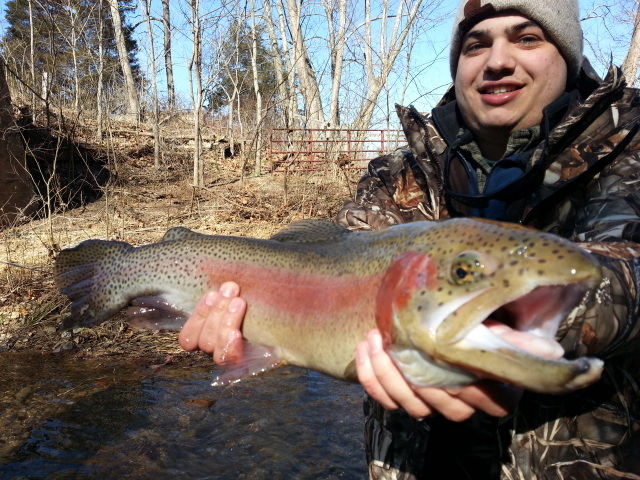 We managed about 15 fish in that first deep run…..fish were stacked along a deep bank. Dr. Todd really smoked them here (below)………………..impressive and nice work! Here are a few tidbits for you, one is its February and a new month is largely before us. This is usually the month some of our first mayfly hatches of the year come off….most notably blue winged olives. Click here for a printable FREE Small Stream Feb. hatch chart . Click here for the same type of chart for our Tailwater rivers . This one is also a printable PDF file. 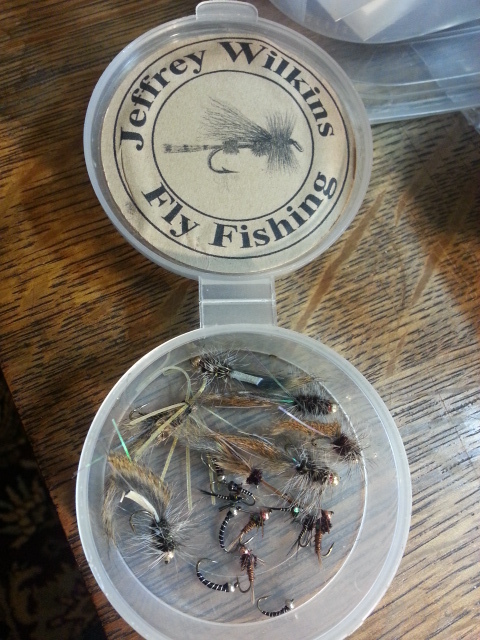 Also, we have a ton of new fly recipes posted on our Fly Tyer’s Bench page here . Some of the patterns will match the insects you hear us referring to often. Here’s another fly favorite of ours, works well when the water is chilly- – as an attractor fly but effective after high water events…maybe because it resembles a worm. Its the Wacky Worm, click here for a nice , full color download/printable PDF sheet. On the new products front, SAGE has a new APPROACH Line or rods/reels that you will love….you can check them out here at the SAGE website. They are offering a complete line from 3 weight to 9 weight. A great way to taste premium quality found in high end Sage rods but at an entry level price. These are some sweet sticks!!!! Also, we get a ton of questions about apps….that is phone apps that we like. For a lot of folks using a smartphone has become an essential part of business…for me its one of the main applications for a phone. I do everything with my smartphone, and we do all our computer stuff from my flyfishing website, tying site, fishing reports site, shopping cart/webstore, blog, YouTube Channel, to our own Smartphone app in house.,….that is, I do all of that stuff for us. We don’t contract that out or have someone else doing it. So it takes a lot of time and some great management tools. Recently I was asked what apps I like for managing my business and saw this article on it. Its great….I would add WordPress to it as it is the platform I use most. And Evernote….well, its just amazing. Dropbox? Couldn’t live without it. So with that said, click here to take a look at 7 Most Essential for Business apps…. Today wraps up the Fly Fishing Show in Winston-Salem, NC. And this week we’ll see some mild weather and some more wet weather. But don’t look too far, we’ve got a few more cold spells in there. I wouldn’t rule out a snow either…..or a few of them. Have a great Sunday and hope your week gets off to a great start…..
Good Day of Fishing ……Chilly…. 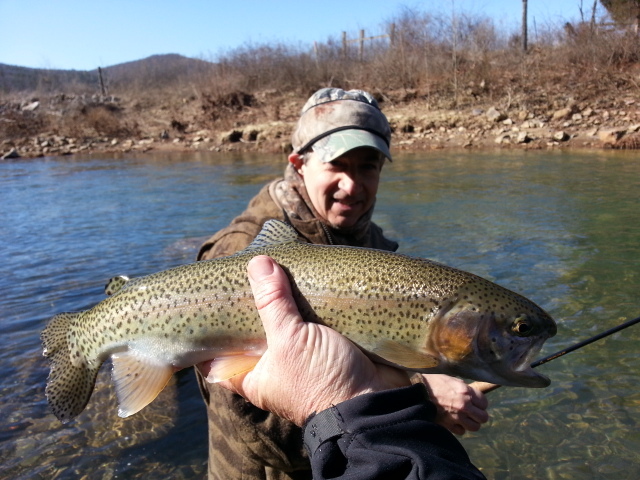 Tues. Feb. 5, 2013….Great to be on the water again today, guiding Dr Don Lucey, Lynn Roloff, and Pete Bradley on Dunlap Creek at Escatawba Farms in Covington, VA. It was chilly to start, chilly all day but the river was in good shape and we landed about 40 fish or so including one beast of a brown that was 25-26" ….that one landed by Pete Bradley. Headed back and will be back in the water several times this week. Can’t wait…. Quiet Weather For a Change, A Return to Fishing…. A recap of the last seven days… 1) Tuesday temperatures in the 60s (50s up top). 2) Wednesday flooding rains. 3) Snow showers Thursday. 4) Light snow Friday. 5) Light to moderate snow Saturday night. 6) Snow showers, snow squalls Sunday. Late last week a friend asked, “What’s next a tsunami? Swarm of locust?” Snow amounts from Saturday night were mostly in the 2″-4″ range; however, areas in closer to the TN/NC state line and a large chunk of Ashe County received up to 8″ of snow. Then Sunday, there was a huge difference east to west with no more than a dusting east near the Blue Ridge, but 3″-4″ additional inches of snow in the western half of the region. Accumulations Sunday were also, very uneven because of banding of the snow squalls. Totals fro the weekend ranged from an inch or so on the eastern edge of the mountains to 11″ on the western edge at above 4500′. The power outage at the Superbowl signaled the end to our crazy weather. 🙂 This week promises to be much quieter! Temperatures will be cool to seasonal. Precipitation (if any) will be very light through Thursday. Today, expect lots of clouds and cool temperatures after a cold start. Tuesday a weak, moisture-starved front will move through with the chance of spotty light rain or drizzle (maybe a few snowflakes and maybe even a smidge of freezing drizzle Tuesday evening). Wednesday and the daytime Thursday will be more pleasant……Check out RaysWeather online . 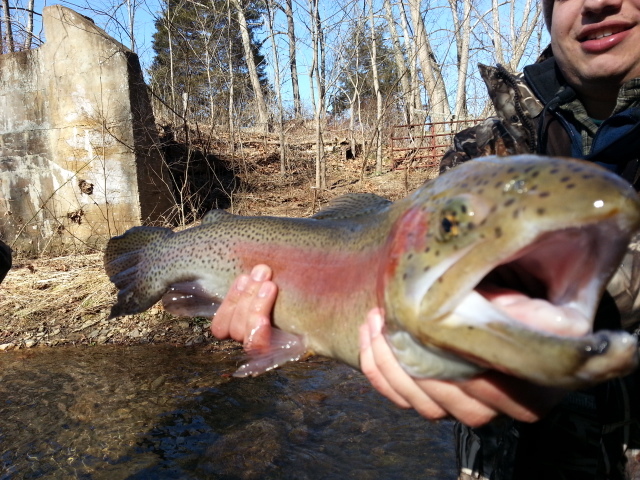 Below is a shot of the upper North Fork New in Ashe Co.
We are back to fishing tomorrow with our Feb. Escatawba Trip. We had three slots available, now only one. Should be a great day, the ‘Farm’ always fishes great after a high water event. Should be on fire…..going to catch some really nice fish. Tired of hibernating inside with all this foul weather…..make a plunge and emerge from the comfortable shuck of your easy chair and join us and catch some of the best fishing of the season before a lot of anglers even venture out. Or the alternative, stay inside and miss some of the best fishing of the year….. If you are interesting in joining us I can take your reservation by phone 336-944-3628 or email…jwflyfishing@gmail.com . Looking foward to good fishing tomorrow, have several other trips this week, ought to be some good opportunities to post some more good fishing reports. Stay tuned…!